But as Bobby reveals, a lot of what made him able to achieve his goals were mistakes, awkward moments, and embarrassing situations—lemons that he turned into lemonade through hard work and humility. In this eye-opening book, he'll include ideas and motivations for finding success even when seemingly surrounded by impossible odds or tough failures. He also includes anecdotes from some of his famous friends—Andy Roddick, Chris Stapleton, Charlamagne Tha God, Charles Esten, Brooklyn Decker, Walker Hayes and Asa Hutchinson—who open up about their own missteps. Bobby's mantra is Fight. Grind. Repeat. 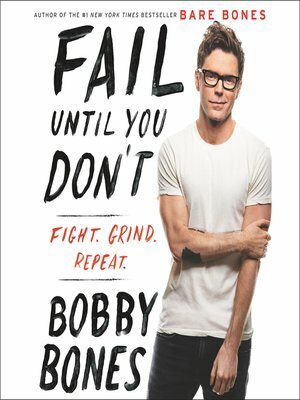 A man who refuses to give up, he sees failure as something to learn from—and the recollections in this funny, smart book, full of Bobby's brand of self-effacing humor, show how he's become such a beloved goofball.